By guest writer | February 2, 2019 | This post may contain affiliate links, which means we may receive a small commission, at no cost to you, if you make a purchase through a link. Read our Disclosure. Looking for tips on what to do in Brisbane? As part of our city guides series, we interviewed Annabel Candy who lives in Noosa just a two hour drive north of Brisbane. Annabel shares with us her insider Brisbane travel tips and knowledge on what to do in Brisbane for those looking for the best places to see, eat, stay, drink, and explore. Despite many people skipping Brisbane on their visits to Australia because Sydney seems to steal all the attention there’s lots to see and do in Brisbane. 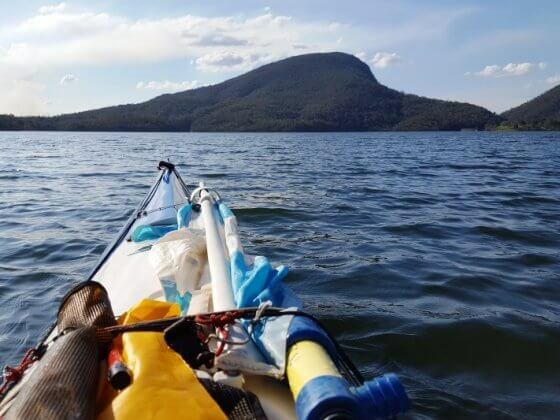 It’s worth spending some time here and enjoying it rather than just using Brisbane as a stopping point on the way to the Gold Coast, the Sunshine Coast, Noosa or Byron Bay. Go to the lookout at the top of Mount Coot-tha. There are regular buses to the summit or to the planetarium at the base if you’d like to walk to the top through the botanical gardens. Go at sunset for fantastic 360-degree views over Brisbane to the coast. There’s a restaurant and a cafe at the summit, both of which are over-priced for the food they serve, but are still a good place to hang out for a drink with top views. Take a ferry on the Brisbane River. There are plenty of boat tours of Brisbane and CityCat ferries to help you get around but my tip is the free Cityhopper. It just launched on 1 July and links various Brisbane hot spots, including Eagle Street and the South Bank, along the inner city stretch of the Brisbane River and runs from 6am until midnight. Promenade along the Southbank. Brisbane has long river walks on both sides of the river but the Southbank is particularly vibrant. There are free pools for the summer months. You’ll also enjoy playgrounds for the kids, markets, and street performers to entertain you. The sparkling Brisbane River sets everything off beautifully and there’s a huge range of cafes and restaurants. Hang out in Fortitude Valley with the hip young people, boutique shops and myriad restaurants, bars and nightclubs. If you’re into seeing and cuddling Australian animals and can’t make it to Australia Zoo on the Sunshine Coast then Lone Pine Koala Sanctuary will deliver the goods. South Bank Museums – Do visit the Queensland Muesum, Brisbane’s (free) State Museum where you can learn about Queensland’s history, geography, and native people from the hands on displays and beautiful exhibits. The Sciencenter next door to Queensland Museum is great if you have kids. There’s a charge for entry but it’s worth it so allow plenty of time as the kids will want to stay and play all day. The Gallery of Modern Art (GOMA) across the street will give you great insights into life in Queesland including works by Queensland-born or Queensland-based artists and a colourful collection of indigenous art. Next door to GOMA the State Library of Queensland is a relaxing place to hang out, research your travel options and tap into the free wifi. Fortitude Valley, known to locals as the Valley, is one of the most fun areas to hang out in within central Brisbane and is home to Brisbane’s Chinatown. New Farm is one of Brisbane’s most cosmopolitan suburbs, and contains many of the cities trendiest bars and restaurants. Thanks to its proximity to the city and riverside location, it is also becoming one of Brisbane’s most prestigious suburbs. Brisbane CBD and Queen Street Mall to stock up on essentials before you head off to rural Australia. Kangaroo Point is a green area with spectacular views of Brisbane city centre and impressive structures including Story Bridge and natural sandstone cliffs, both of which you can climb on tours. Brisbane’s foodie scene is taking off with endless great cafes and restaurants to choose from. Wagaya – Set on a first floor over Brunswick Street this huge, busy Japanese restaurant has several booths as well as private rooms and traditional Japanese style rooms. With touchscreen ordering and a vast choice of dishes this is a cheap and cheerful place to eat that’s got something for everyone. Ortiga – With a street level tapas bar and a stylish ground floor dining room Ortiga brings the best Spanish cuisine to the Brisbane dining scene. It’s not cheap but it is a great choice for a splurge meal or special occasion. Freestyletout – Located on Ann Street, this is the spot to go if you’re searching for great desserts. They serve meals too but they’re best known for their sweet treats. Shlix – For delicious homemade Italian ice-cream at a price that won’t break the bank. Order a cone or cup, grab a seat on the street and watch the world go by. Grill’d – For gourmet burgers including beef, chicken and lamb along with three rather fine vegetarian options. The Candy family hit Wagaya Restaurant in Fortitude Valley and the kids loved the touchscreen ordering. For a quiet drink and an extensive wine list including wines from the nearby Granite Belt head to Bar Barossa on Queen Street just a block back from the river. There are bars and night clubs galore in Fortitude Valley. Sadly my bar hopping days are over but a little bird told me that these are the hip and happening spots you should check out. Wellington has plenty of great hotels and hostels for the budget traveler including Chill Backpackers and Banana Benders Backpackers. For luxury check out the Sofitel in the CBD or the Treasury Hotel and Casino. If you’re traveling with friends or family booking an apartment at Mantra on the Quay is a great deal. Many of the apartments have spectacular river views and they’re all right on the river and within easy walking distance of Fortitude Valley. For more places to stay in Brisbane choose from the largest range of hotels, apartments, and guesthouses with our partner Booking.com. You get free cancellation on most rooms, and in most cases you only pay when you stay. I always find Australia a bit slow when it comes to free wifi but you can usually sniff it out somewhere. Free wifi is offered at all McDonalds locations and many cafes as well as at the South Bank Museums and the library. The big one is the Brisbane River festival in September when you can catch a flotilla of boats crusing down the river as well as a fireworks display. There are plenty of other events including film festivals, arts festivals, and fashion events throughout the year. Just look out for the free local press which you can usually find in your hostel or hotel. Walks along the river make it fun to walk around. If the distances are too far or you’re in a hurry there are buses and river ferries as well as services like Greyhound buses to get you out of the city to your next destination. Well, I’m a bit biased towards Noosa and the Sunshine Coast where I live. If you head up there you’ll find miles of beautiful white sand beaches with ocean swimming possible all year round. For beach lovers who want to stay closer to Brisbane try Moreton Bay and Bribie Island. The Granite Belt is a well known wine growing area with heaps of vineyards and wine tastings as well as Girraween National Park which is gorgeous. Anytime except the summer school holidays in January when it’s super hot and the entire Southbank is crawling with people. Qantas has international flights from the big transport hubs like Auckland, Los Angeles, Singapore and there are plenty of domestic flights to other big cities round Australia. You can also get here by train or bus and driving round the city is quite easy too if you have your own wheels. Make sure you get out on the river, either on a paid cruise or on the free Cityhopper. It’s got a fabulous sub-tropical climate so it never gets that cold, plus it’s got all the glitz and glamour of a big city yet it’s easy to get around and the people are friendly. Booking.com has over 250 properties in Brisbane including hotels, apartments, and hostels. You get free cancellation on most rooms and a best price guarantee. Check out these awesome tours of Brisbane with our partner Viator. BIO – Annabel Candy is a freelance writer and web designer. Born in England, she’s traveled to over 40 countries, lived in eight of them and has both British and Kiwi passports. But don’t hold that against her. 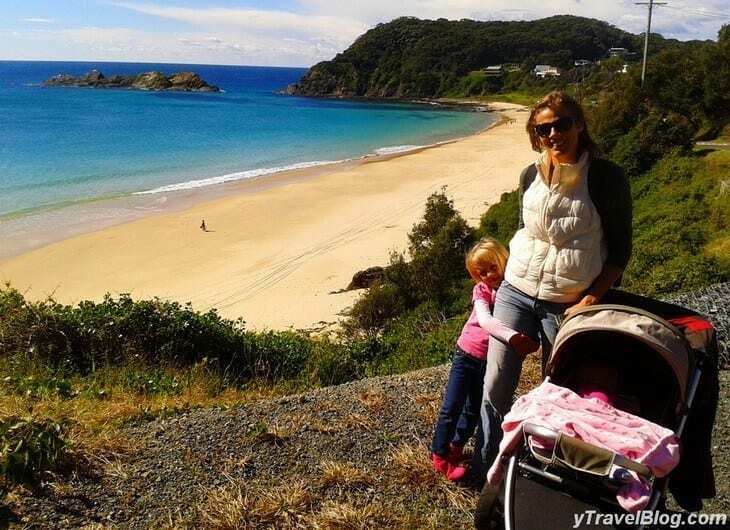 Annabel now lives in Noosa, Australia where she writes her travel blog, shares blogging tips and spends far too much time on Twitter, Facebook and Google+. Do you have any tips on what to do in Brisbane? Please share in the comments. Don’t miss Roma Street Parkland – it’s the biggest Sub Tropical city park in the Southern Hemisphere and it’s the perfect place to escape the heat. Loads of shady spots to read a book and a few good restaurants within the park. I enjoyed reading this article. It’s both entertaining and informative. Thank you for sharing a list of sites and activities in Brisbane. Brisbane City Council have also put WiFi into many parks now. Yet to test it out and see how good the speed/signals etc are though. There are lots of places to visit and activities to do. I need to make sure I have enough time so that I can do all these. I’ll plan my trip carefully. Sometimes it’s best to do less stuff and relax more:) Planning is good though so you don’t miss anything that most grabs you. Love Brisbane and can’t wait to visit again! Thanks for some great new tips and places to see. Yeah so much fun to experience in Brisbane.I agree to Kris, Roma Street Parkland is something that you should not miss. That’s one of my favorite spots. Where is Roma Street Parkland? Brisbane is the city that entices a flock of vacationers from across the globe. It entices a horde of day-trippers from all over the world. 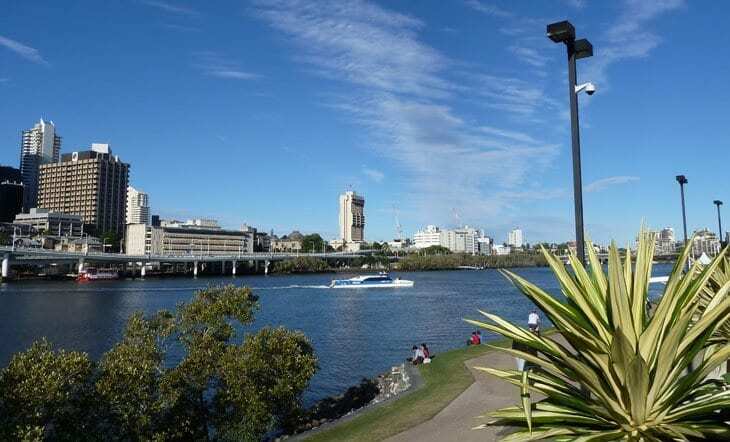 Brisbane is beautiful city where you can enjoy with your family friends and more I like all the place but Brisbane River is one of my favorite spot thanks for sharing this post. 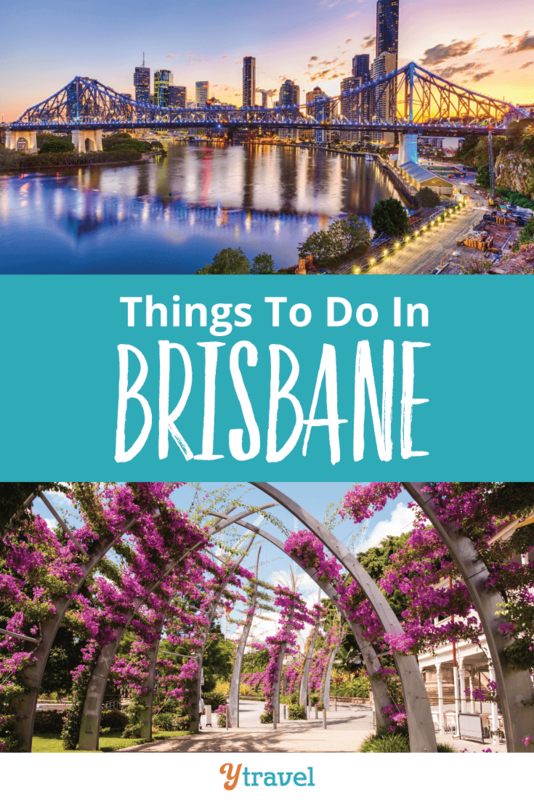 This is a great list for anyone visiting Brissy for a weekend. I would recommend West End markets, get their early and wonder aimlessly through all the fresh food. I love stopping for an early lunch and listening to the live music. Lots of different foods to try. Some more Suburbs to visit should include Paddington with its amazing old Queenslanders and West End for its eclectic mix of subcultures. Great for people watching and the cafes are amazing. If you are wanting a local to drive you around on a private tour customised for your interests then contact Create-A-Tour. We specialise in Eco Certified private tours throughout Brisbane and surrounding regions. 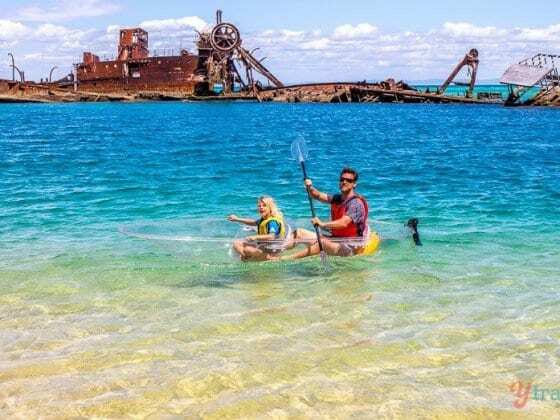 From fully guided bushwalks to wine tastings to wildlife encounters and major attractions for private groups up to 4 adults and 2 children – Beaches to Hinterland and west to Toowoomba. No minimum number. North Stradbroke Island is an awesome places to visit in Brisbane. Its a great place to visit. It’s a must go place from my opinion. I am planning a trip to Australia and I would like to fly to Brisbane first, just wondering if there are any excursions from Brisbane to the inland and if there are by bus how long would they take go and come or would be better to go on an excursion and keep moving? Also how long should I spend to Brisbane? In total I will travel for 2 weeks. With such a short time I don’t recommend you take a bus to the inland (I presume you mean Uluru) It would take far too long. You can fly there from Brisbane however. 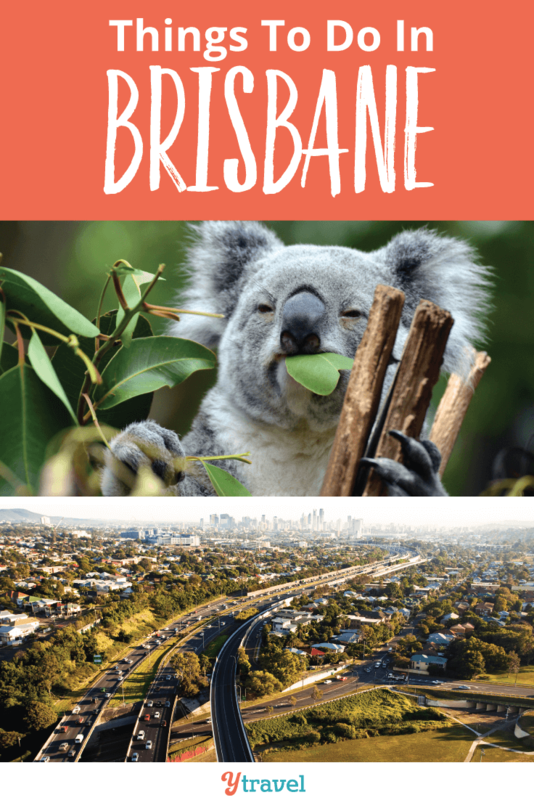 I loved your blog post on Brisbane. I would like to add Manly to Wynnum walk way along the sea coast. It is a mesmerizing view. With waterpark and artificial pool, your kids will have great time. You also have array of cafeteria nearby.